Let us help you create unique Bat Mitzvah & Bar Mitzvah invitations! All of our designs can be customized for any event, but the collection below shows off invitations from our brand new Mitzvah album. 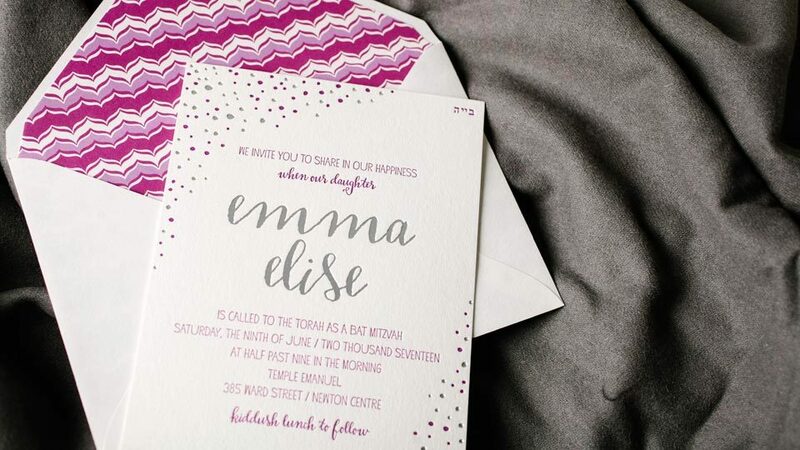 Stylish patterns, youthful colors and signature Smock motifs make these Mitzvah invitations stand out among the rest. Take a look at our blog to see customizations of Bar Mitzvah and Bat Mitzvah invitations that we've printed in the past.